Some Auburn fans say it and seem to actually mean it—that they want Bama to win if it helps Auburn, or even that they always cheer for them except against Auburn (which just seems sick). On the opposite end are Auburn fans who look you straight in the eye and say that if Bama played Russia, they would pull for Russia. I always heard that growing up. You’d hear it and laugh and think “yeah, ha, maybe… ” and then wonder how you’d ever be able to watch Rocky 4 or play that USA vs. USSR hockey game in the arcade again if something like that ever actually happened, and you did find yourself pulling for the Reds over the Crimson. And you thank God it’s never happened. Except the one time it did. Yes, the ultimate Auburn Scruples card was actually dealt to Tiger fans in the 1970s, back when legendary radio announcer Gary “It’s Blocked! It’s Blocked!” Sanders, who later became the voice of UAB Blazers basketball, was still calling games for Auburn. When I interviewed Sanders several years back, he told me about it. “I always thought that was just a joke,” I said. Rammer Jammer, Yellow Hammer and Sickle, baby. Related: Dean Foy crowd surfs Toomer’s Corner, celebrates Bama’s loss to Vandy. It’s so much more fun when we’re all pulling against each other. I don’t understand why any Auburn fan would pull for Alabama and vice versa. I don’t want them pulling for us. Can’t we all just hate each other and be happy about it? If I’m not mistaken, this game was played in 1973. Remember, this is the year after the Soviet team got three chances in the last two seconds in the Olympics to beat the American team. 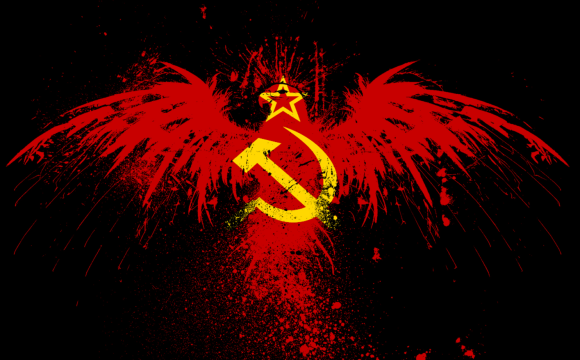 Everyone in the country HATED the Soviet team. Yet, here they were playing Alabama. I was in 10th grade at the time and my favorite memory of this event was my dad’s friend at church. He was a huge Auburn fan and he and I addressed each other as “Comrade” for about two weeks! 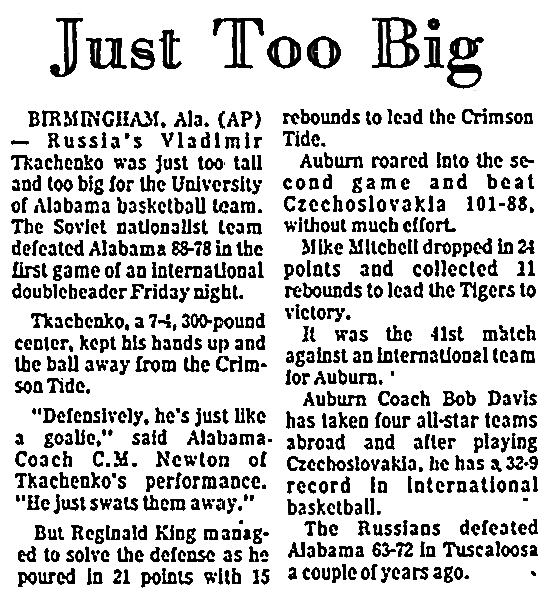 Definitely sounds ’73ish, and I’m sure there could have been another similar scenario that had Auburn fans feeling the same thing, but Reginald King wasn’t at Bama in ’73. Think he played from ’75-’79. It was 1977 and yes, we were pulling for Russia. I as there!